Rep. Craig Horn, one of the chamber’s top K-12 budget Republicans, touts the creation of the PESA program. The $23 billion budget deal speeding through the N.C. General Assembly this week includes a platoon of significant public school initiatives, including much-touted teacher raises, a swift ballooning of the state’s funding for a private school voucher program and dramatic cut-backs for North Carolina’s central K-12 bureaucracy. But one little-noted provision of this year’s GOP-authored spending package that seems to be generating the most concern from public school advocates is the launch of personal education savings accounts (PESAs). The so-called “vouchers on steroids” have generated great controversy in other Republican-controlled states, but their inclusion in the North Carolina legislature’s budget deal comes with far less public scrutiny. “There has never been any public discussion of this in the state with the General Assembly. 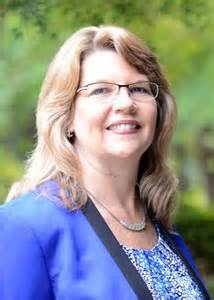 It’s never even been presented in a committee,” says Leanne Winner, director of governmental relations for the N.C. School Boards Association, which lobbies for local boards of education at the General Assembly. That relative anonymity comes despite public endorsements from President Donald Trump and controversial U.S. Education Secretary Betsy DeVos. Such programs are often touted as a major, and efficient, expansion of school choice options by supporters. And while eligibility varies in the handful of Republican-controlled states—Arizona, Florida, Tennessee, Nevada and Mississippi—that have authorized similar efforts, education savings accounts generally dispatch public K-12 funds into private savings accounts for parents. Parents can use the cash, loaded onto debit cards, to pay for private school tuition, textbooks, therapy, testing fees, transportation and more. As it’s written in the state budget deal announced late Monday, eligibility would be limited to parents of children with disabilities, although it’s likely school choice advocates would seek to expand that definition in the years to come, given history in other GOP-controlled states. GOP lawmakers in other states have gradually rolled out broader eligibility requirements, opening the door, for example, to children of active-duty military and students in low-performing schools. Nevada’s program, billed as the largest private school choice initiative in the country, cleared funding eligibility for all of the state’s public school students, although recent Democratic wins in the state stymied its progress. In North Carolina, annual scholarships of up to $9,000 would be dispensed for recipients, yet gauging the program’s eventual cost to North Carolina is difficult, given the lack of substantial details from state lawmakers on their multi-year plans. 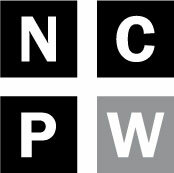 Students with disabilities account for roughly 13 percent of K-12 enrollment in North Carolina, although the only funding stipulations attached to the PESA section in the budget’s provisions allocate a modest $450,000 in 2017-2018 to establish the program, followed up by an initial investment of $3 million in 2018-2019. Yet state lawmakers could revisit that funding amount next year, and given the General Assembly’s plans to expand private school voucher funding from $44.8 million to nearly $145 million in the next decade, advocates say the state’s Republican lawmakers have already shown a willingness to spend on big-ticket, school choice items. “Education savings accounts are another example of taking public taxpayer dollars and allowing it to be spent on private schools with no accountability and no transparency,” Rep. Graig Meyer, an Orange County Democrat and outspoken public school advocate who sits on the state House education committee, complained Wednesday. On the House floor Wednesday, Rep. Craig Horn, one of the chamber’s top K-12 budget Republicans, briefly touted the bill’s creation of the PESA program. 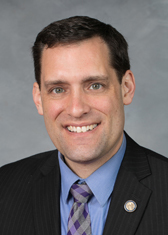 “I think you can be very proud in how we have continued to progress and support public education in North Carolina,” Horn said of the overall budget. But the relative anonymity of North Carolina’s fledgling PESA program should be of great concern, advocates say. Because virtually identical efforts in other states have grown rapidly in the last five to six years—spending in Arizona had risen to nearly $100 million, according to one February report—and similar PESA programs have been dogged by questions about transparency and accountability. “We expected this to be the next arena that the state would venture into,” says Katherine Joyce, executive director of the N.C. Association of School Administrators (NCASA), which stumps for K-12 central office leaders across the state. Arizona lawmakers are publicly talking reforms after an audit this year questioned the state’s monitoring of the initiative amid reports of more than $100,000 in misspent funds in just six months. In one case, according to media reports, a parent spent public dollars on a big-screen television. In another, parents returned purchased educational materials for store gift cards, which they used to buy items such as a sock monkey, a board game and a snow globe. North Carolina’s program, according to the state budget deal, will require expense reports from parents, as well as annual audits led by the State Education Assistance Authority (SEAA). According to the budget, the SEAA would develop rules for “monitoring and control” of PESA spending, and the agency should conduct “random sampling” of scholarship winners to ensure compliance with state laws. However, critics questioned whether the state or the agency is prepared to take on the potentially enormous tracking requirements. “There’s no discussion of how to structure it in a way that protects the investment of taxpayers and ensures accountability like the same kind of accountability measures we have placed on our public schools,” said Joyce. “We need to be a little more methodical and cautious in how we just expand these kinds of programs that we are making part of our education landscape in this state,” she said. 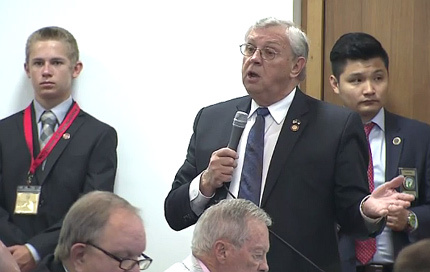 Rep. Meyer said it wouldn’t be fair to say there are no supervision stipulations in the budget, but he emphasized that state officials cannot say what the PESA reporting structure will look like when they begin funding the private accounts. Meanwhile, Winner says she doesn’t believe the budget provisions will guarantee PESA funds are used appropriately. “If North Carolina were going to go down this road, which again we do not support, you would hope they would look to those states that have already done this and learn from their lessons,” said Winner. Skeptics also question the prospect of diverting more public dollars to North Carolina private schools, most of which are religious institutions lacking the testing accountability and non-discrimination requirements imposed on traditional public schools. “We need to invest this money in public classrooms that serve all students, not put it into private schools with no accountability standards,” said Meyer Wednesday. In the last two years, Policy Watch has reported on anti-LGBTQ admissions policies in some North Carolina private schools while a Duke University law report in March questioned the classroom benefits for voucher students, as well as the state’s monitoring of voucher-eligible schools. State House lawmakers seemed to take up that criticism when they approved their version of the budget in May, ordering one standardized test for voucher students in order to make academic comparisons. The House budget also provided $900,000 in funding over two years for an independent study of the program’s academic gains or losses, although neither provision survived conference committee negotiations to make it into this week’s budget compromise. At press time, members of the state House were in the midst of discussing the budget package on the floor and were expected to hold the first of two votes Wednesday. The Senate was expected to take its final vote later in the afternoon. Democratic Gov. Roy Cooper offered scathing criticism of the budget plan’s voucher funding Tuesday, although Cooper stopped short of saying he would veto the bill if approved as is by the General Assembly.